This piece was originally published in May. The closest Steven Soderbergh came to an official notice of his retirement was in a 2009 interview with Esquire. After being asked whether he would be making movies the rest of his life, the filmmaker responded with, “I’m 45 now. When I turn 51, that’ll be 25 years [of directing]. And that’s a lot of time to do one thing. And it’ll be, like, 30 movies. And that’s enough. I don’t want to have that falloff. I want to go out with Abbey Road.” Ever since then, he’s had to talk about retirement again and again — partly thanks to Matt Damon, who relayed an allegedly drunken conversation between the two frequent collaborators to the Los Angeles Times, stating that Soderbergh was, in fact, ready to call it quits. That little nugget of cinema gossip would end up getting picked up by pretty much every major entertainment outlet in America. Like any artist, Soderbergh is frightened of falling off toward the latter half of his career, worried that the drive and determination that propelled him in the first place will start to melt and wither away like a burning strip of film. Therefore, after his final directorial effort in 2013 (Behind the Candelabra on HBO; his last theatrical movie was Side Effects, released the same year), he decided to start from scratch. 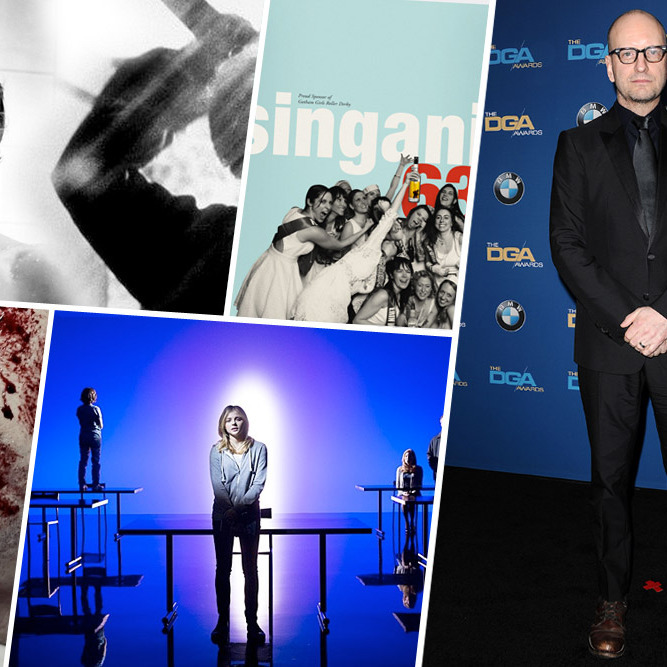 Since then, Soderbergh has stayed busy, directing plays and TV shows — like The Knick, which debuts tomorrow night — recutting classic films, and even selling booze. Below, we highlight each of the filmmaker’s post-retirement endeavors. In our 2013 talk with Soderbergh, he also stated, “I still plan to direct theater stuff, and I’d do a TV series if something great were to come along.” That great TV series is The Knick, a show that will premiere on Cinemax Friday night. The program stars Clive Owen as an early 20th century doctor at New York’s Knickerbocker Hospital who’s looking to break ground in the medical field through experimental procedures. Soderbergh directed all ten episodes. Soderbergh has been editing his own films for years, under the oft-used pseudonym Mary Ann Bernard. This past February, he once again played the role of editor. But this time, he did it with a movie that wasn’t his own. Instead, Soderbergh turned his attention to Psycho, splicing together Alfred Hitchcock’s classic original with Gus Van Sant’s much-maligned shot-for-shot 1998 remake. In some scenes, Soderbergh alternates between moments from Van Sant’s cut and Hitchcock’s. In others, he mashes the two together, like the example below, which blends the infamous shower sequences. Soderbergh’s Extension 765 website serves as a place for random musings about film, cable TV, and anything else on his mind (in addition to the Psycho and Heaven’s Gate recuts, Soderbergh has also posted annual lists of the movies, shows, and books he’s consumed in the last 12 months). Take this short essay where he professes his love for Chinatown and states how it provided the blueprint to making the perfect film. “I not only endorse this product, I’m having some right now,” said Soderbergh in the official announcement for Singani 63, a Bolivian liquor he began importing into the United States back in March. Soderbergh first learned about the liquor while filming Che in 2007, thanks to casting director Rodrigo Bellott. “There were three things,” said Soderbergh, about why he enjoyed the drink. “I could drink it on the rocks. It landed me in a place that felt really good and did so in pretty short order, and I also noticed, the next day, I felt fine.” The alcohol itself dates back to 1530, and is distilled from the white Muscat of Alexandria, a type of grape you can find in the Bolivian Andes. You can read Glue in its entirety here, or, if you’re so inclined, you can order a limited-edition hardcover copy of the story here.